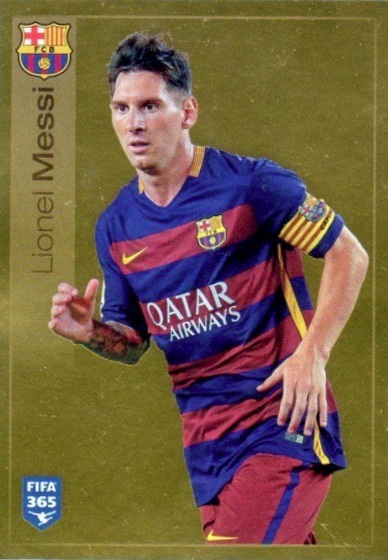 Offering a mix of players and clubs from around the globe, 2016 Panini FIFA 365 The Golden World of Football features a deep checklist of stickers. 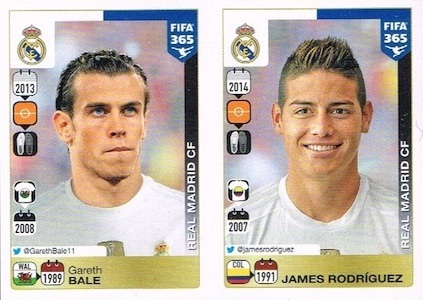 The simple release takes a similar approach to the hugely popular Panini World Cup sticker line. Players from 19 countries and 26 professional clubs comprise the large set that checks in with over 850 cards. However, that total amount is a little misleading as many of the cards feature two or three different players on the same card. The official total is at least 856 cards but can vary based on the regional exclusives. Club options include Manchester United, Bayern Munich, Real Madrid, Barcelona and many others. There are also special subsets devoted to the FIFA Club World Cup, 2015 FIFA U-20 World Cup and 2015 FIFA Women's World Cup. In addition to cards only found in certain countries, there are also various regional albums to house the stickers that are issued separately. Available globally, North American collectors can find 50-pack boxes but there are different box formats in other regions. 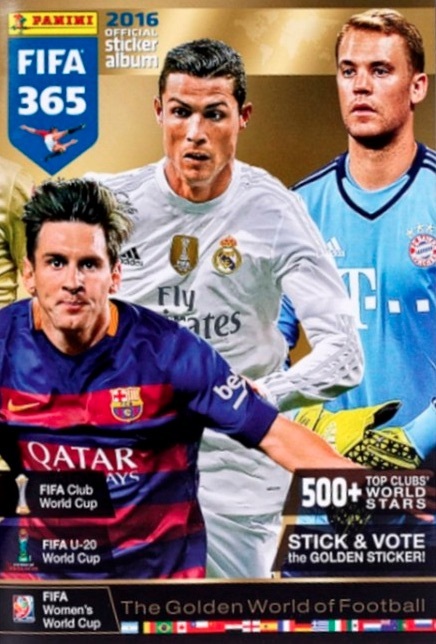 Collectors should be aware that there is also an Adrenalyn XL FIFA 365 version that is different from The Golden World of Football and is more geared as a card game. 472 cards, 856 subjects. Shop for full base sets on eBay. 365 - 366 Sergi Roberto - Neymar Jr. There is a straight listing 1 to 856 and a separate list of the actual stickers where some stickers carry two or three numbered stickers. 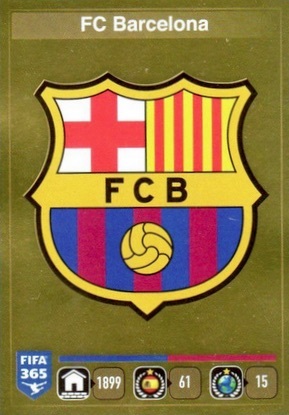 Also included in the checklist are links to many of the special subsets of stickers that are only available in specific countries – Inter, Lazio and Roma (Italy), Schalke (Germany), Lyon (France), Partizan Belgrade (Serbia), Universidad (Chile), Fenerbahce (Turkey), Basel (Switzerland), CSKA and Spartak Moscow (Russia), Panathaniakos (Greece) and others in Costa Rica, Slovakia, Czech Republic, Romania and Slovenia.